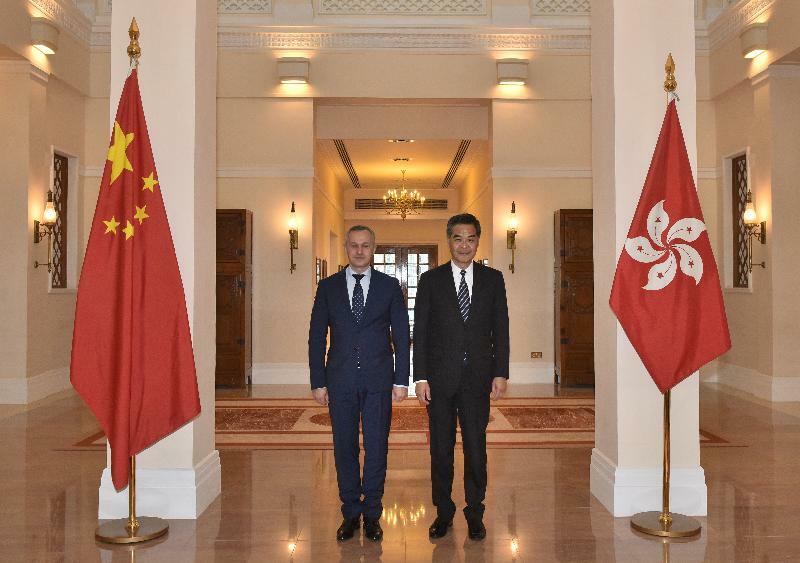 The Chief Executive, Mr C Y Leung, met the visiting First Deputy Prime Minister of Belarus, Mr Vasily Matyushevsky, at Government House this afternoon (January 16) to exchange views on issues of mutual concern. Mr Leung thanked Mr Matyushevsky for witnessing the signing ceremony of the comprehensive agreement for the avoidance of double taxation (CDTA) between Hong Kong and Belarus. 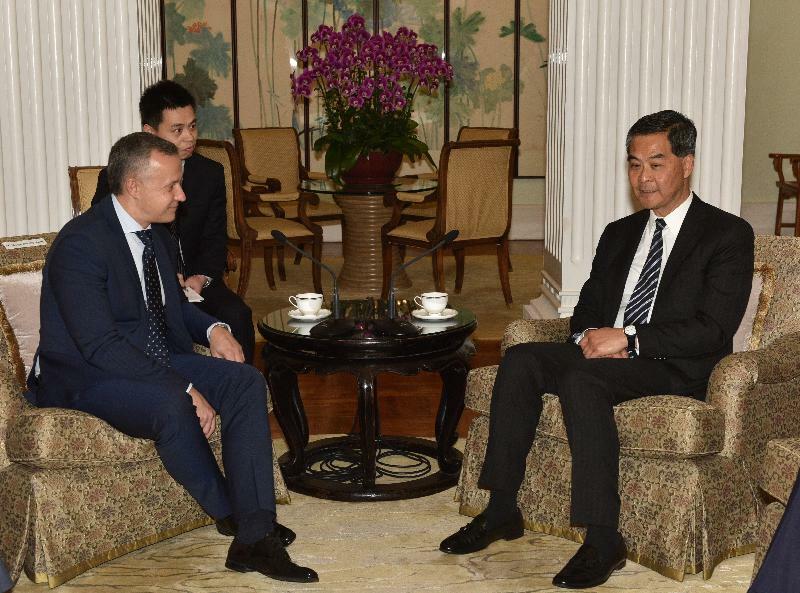 Noting that Hong Kong would play an active role in facilitating the implementation of the country's Belt and Road Initiative and that Belarus is along the Belt and Road, Mr Leung said he hoped that the CDTA could boost investors' confidence, further enhance investment flows, and promote economic and trade relations between Hong Kong and Belarus. The Chief Executive also welcomed the consensus reached between Hong Kong and Belarus for holders of valid Hong Kong Special Administrative Region passports and holders of valid Belarus national passports to enjoy mutual visa-free access for a stay of up to 14 days. He said that the measure would bring greater convenience to the people of Hong Kong and Belarus and facilitate the strengthening of tourism, cultural and economic exchanges between the two places. Both sides would seek to complete relevant formalities and put in place the new measure as soon as possible.